Insect Repellent: Nature Cide, Bug Band, Bite Blocker, Herbal Armor! • Bed Bug Spray 32 oz. : Powerful natural ingredients eliminate and stop bed bug invasions. Spray directly onto mattress, box spring, bedding, floor, head board, walls, windows, floor boards etc. 100% Natural. Non-Staining. Safe for kids and pets. Refreshing Scent. Made in USA. BUY NOW! • Bed Bug Spray 8 oz. Bed Bug Spray can be carried with you when you travel, a portable size to slide in your suitcase or book bag. Guard yourself by using at the office, airplane, movie theater, taxi cab, luggage, and hotel room. Made in USA. BUY NOW! • Bed Bug Spray 2 oz. : Bed Bug Spray can be carried with you when you travel. 100% natural and safe. Stain Free. Pleasant odor. Made in USA. BUY NOW! • Indoor Pest and Bug Spray: Natural ingredients blended to eliminate and stop indoor insect and rodent raids. Spray on pest-ridden or problem spots to prevent most kinds of flying and ground moving insects in their trails. Spray liberally into corners, along baseboards, on carpet surfaces, inside cabinets and by windows and doors. 100% Natural. Non-Staining. Safe for kids and pets. Pleasant scent. 32 oz. Made in USA. BUY NOW! Ingredients: Essential oils: Cedar oil, Citronella oil, Clove oil, Garlic oil, Mint oil, Peppermint oil, Cinnamon oil, Geranium oil, Lemongrass oil, Rosemary oil. Essential Oils 6%, Inerts 94%. • Outdoor Pest and Bug Spray: Spray liberally around all outdoor areas: patios, garden, picnic tables, lawns, campsites or anywhere you have problems with pests. To deter reptiles and rodents, spray generously and entirely around home where pests visit. Use caution when using Nature-Cide in pest-ridden areas as pests will drift out of the treated areas. Pleasant scent. 32 oz. Made in USA. BUY NOW! Ingredients: Essential Oils: Cedar oil, Citronella oil, Clove oil, Garlic oil, Mint oil, Peppermint oil, Cinnamon oil, Geranium oil, Lemongrass oil, Rosemary oil.Essential Oils 8%, Inerts 92%. • Ant Spray: Natural ingredients especially combined to eliminate and stop ant infestations. Spray on pest-ridden or problem spots. To exterminate and deter ants, it is suggested to spray directly on the ant trail and follow them back to their nest to keep them from returning. Safe for indoors or outdoors. 100% Natural. Non-Staining. Safe for kids, pets and plants. Pleasant aroma. 32 oz. Made in USA. BUY NOW! Ingredients: Essential Oils 5%, Inerts 95%. • Flea & Tick Spray: Combined with natural ingredients to remove and prevent flea and tick. Spray on pet beds, yards, furniture etc. Spray directly on pet's coat. Made with essential oils to add sheen to your pets coat and can help with dry skin problems. Spray onto all pet bedding and other areas that your pet visits to prevent pest infestations. Safe for indoors or outdoors. 100% Natural. Non-Staining. Safe for kids, pets. Pleasant scent. 32 oz. Made in USA. BUY NOW! Ingredients: Essential Oils: Cedar oil, Citronella oil, Garlic oil, Mint oil, Peppermint oil, Cinnamon oil, Geranium oil, Lemongress oil, Rosemary oil. Essential Oils 3%, Inerts 97%. Bed Bug Spray 32 oz. Bed Bug Spray 8 oz.aaaaaaaaBed Bug Spray 2 oz. HOME CARE: Bed Bug Spray, 8 oz. HOME CARE: Bed Bug Spray, 2 oz. Bug Spray is the first 100% certified organic insect repellent available in the United States. Offers peace of mind for safe use with young children, adults, pets, and around the home. Made from a DEET-free, non-toxic blend of organic plant-based essential oils, Citronella, Lemongrass and Cedar Oil that are known for their natural bug repelling properties and safe use. Contains no added chemicals, alcohols, scents, plant surfactants, soaps or glycerin, making it mild and nontoxic for the most delicate skin and who are chemically-sensitive! • Bug Spray: 4 oz. Spray. ORDER NOW! • Bug Spray: 16 oz. Spray. ORDER NOW! Bug Spray 4 oz.4aaaaaaBug Spray 16 oz. HOME CARE: Bug Spray, 4 oz. HOME CARE: Bug Spray, 16 oz. • Buzz Away Extreme 8 oz. :This DEET-free formula, in the new 8 oz. Family Size spray bottle, made with essential plant oils, Soy bean and Geranium oil for the longest lasting natural defense available. The mosquito repellent delivers protection up to 4 hours against mosquitoes, up to 2.5 hours on ticks, and also repels fleas, gnats and flies. Non-greasy, pleasant scent, and great for families. Family size 8 oz. ORDER NOW! Ingredients: Soybean Oil, Geranium Oil, Castor Oil, Purified Water, Coconut Oil, Glycerin, Citric Acid, Lecithin, Sodium Bicarbonate, Benzoic Acid. In a blend of Essential Oils of Wintergreen, Citronella, Cedarwood, Peppermint, and Lemongrass. • Buzz Away Extreme 4 oz. : Buzz Away Extreme is DEET-free formula and blended with essential plant oils, Soy bean and Geranium oil for long-lasting natural defense available. The mosquito repellent works for up to 4 hours against mosquitoes, up to 2.5 hours on ticks, and also repels fleas, gnats and flies. Non-greasy, pleasant scent, perfect for families. ORDER NOW! • Buzz Away Extreme 2 oz. : Comes in the 2 oz. spray bottle that fits in your backpack, back pocket or even your shirt pocket. The ideal size for traveling light into the deepest woods. Same great formula as the larger size. Pocket size 2 oz. ORDER NOW! • Buzz Away Towelettes: These wipe-on Buzz Away Extreme Towelettes in 12 count boxes are perfect for any condition - easy to use on children, and eco-friendly. 100% deet-free and formulated as the spray. Packed in convenient travel packs - ideal for pockets, purses, backpacks and tackle boxes. 12 count. ORDER NOW! Ingredients: Soybean Oil, Geranium Oil, Castor Oil, Purified Water, Coconut Oil, Glycerin, Citric Acid, Lecithin, Sodium bicarbonate, Citric Acid, benzoic Acid. In a blend of Essential Oils of Wintergreen, Citronella, Cedarwood, Peppermint and Lemongrass. • Itch Nix Gel: Itch Nix helps fast, healing relief from poison oak or ivy. Made with effective B Vitamins, Camphor, Echinacea and Calendula Extracts to provide cool, calming relief within seconds. 4 oz. ORDER NOW! Ingredients: Purified Water, Aloe Vera Gel , Propylene Glycol, Echinacea Extract, Glycerine Calendula (Marigold) Extract, Witch Hazel Extract, Comfrey Extract, Nettles Extract, Clove Bud Oil, Menthol, Camphor, Thiamin (Vitamin B1), Riboflavin (Vitamin B2) Pyridoxin (Vitamin B6). Cyanocobalamin (Vitamin B12), Ferric Ammonium Citrate (Iron), Allantoin, Cellulose Gum. • Sting Soothe: A powerful lotion that soothes stings and bug bites fast. With ingredients like Aloe Vera Oil, Vitamin E, Tea Tree Oil and Camphor, Sting Soothe offers quick, natural bug bite relief. And packed in a convenient one ounce squeeze bottle, Sting Soothe can be easily tucked into a fanny pack or bike bag for the ultimate in portability. 1 oz. ORDER NOW! Ingredients: Sting Soothe is an effective lotion that calms stings and bug bites fast. Blended with Aloe Vera Oil, Vitamin E, Tea Tree Oil and Camphor, Sting Soothe delivers fast, natural bug bite relief. Comes in a convenient one ounce squeeze bottle, it can be easily placed into a fanny pack or bike. Buzz Away Extreme 8 oz. Buzz Away Extreme 4 oz.aaaBuzz Away Extreme 2 oz. HOME CARE: Buzz Away Extreme Spray, 8 oz. HOME CARE: Buzz Away Extreme Spray, 4 oz. HOME CARE: Buzz Away Extreme Spray, 2 oz. Itch Nix, 4 oz. | Sting Soothe, 1 oz. • Anti Itch & Insect Repellent Lotion: Proven effective formula will guard you and your family from bites for up to 3 hours against mosquitoes and black flies and help relieve itching and stinging from biting insects and poison ivy. Waterproof and Sweatproof. 4 oz. ORDER NOW! Active Ingredients: Soybean Oil (2.0), Geranium Oil (5%): Inert Ingredients (93%): Coconut Oil, Purified Water, Glycerin, Citric Acid, Lecithin, Sodium Bicarbonate & Vanillin. • Herbal Insect Repellent Spray: Effective formula will defend you and your family from bites from mosquitoes and black flies. Helps deter black flies for up to 3 hours and proved to be more effective than DEET (7%) in repelling mosquitoes. It is safe to use on children. For full effectiveness re-apply every 2 hours. Waterproof and Sweatproof. 4.7 oz. ORDER NOW! Active Ingredients: Soybean Oil (2.0%), Geranium Oil (5%) Inert Ingredients (93%): Purified Water, Coconut Oil, Glycerin, Lecithin, Citric Acid, Sodium Bicarbonate & Vanillin. • Sport SPF20 plus Insect Repellent Lotion: Sport Lotion is extremely effective natural insect repellent with extra protection of UVA and UVB Sunscreen. The SPF 20 Sunscreen is a waterproof formula to help offer defense from bites for up to 4 hours against black flies and mosquitoes. 3.5 oz. ORDER TODAY! Active Ingredients: Soybean Oil (3%), Geranium Oil (6%), & Castor Oil (8%) Inert Ingredients: Water, Coconut Oil, Glycerin, Lecithin, Citric Acid, Sodium Bicarbonate, Benzoic Acid, & Vitamin E..
• Bio-Block Organic Pest Control: Organic Pest Control kills insects on contact. Use on surfaces and other materials to deter insects, ticks, roaches, ants, rodents, and other pests from treated area for 1 month on indoor areas. Re-apply weekly on outdoor areas. This botanically based formula offers area protection on countertops, carpets, and other surfaces for up to 1 month per treatment. Safe for food prep areas, pet areas and for areas where children frequent. 16.9 oz. spray. ORDER TODAY! Active Ingredients: Soybean Oil (12%), Geranium Oil (3%), Castor Oil (1%), Lemon Grass Oil (0.5%) Inert Ingredients (83.5%TOTAL): Purified Water, Coconut Oil, Vegetable Glycerin, Ascetic Acid, Soy Lecithin, Wintergreen Oil, Citric Acid, Sodium Bicarbonate & Benzoic Acid. • Eco Organic Blender™ Weed Killer: Powerful, natural herbicide for use on ground and vegetation to kill unwanted weeds, vegetation and poisonous plants like poison ivy. It is a natural substitute to chemical based herbicides that is safe for use around humans and animals. Effective formula is blended with fatty acids of plant oils. Fragments plant mass into helpful ground nutrients. 16.9 oz. Trigger Spray. ORDER TODAY! Active Ingredients: Soybean Oil (20%), Citric Acid (4%), Lauric Acid (4%) Inert Ingredients (72% Total): Purified Water, Coconut Oil, & Benzoic Acid. Anti Itch & Insect Repellent Lotion, 4 oz. Herbal Insect Repellent Spray, 4.7 oz. Sport SPF20 plus Insect Repellent Lotion, 3.5 oz. BioUD® Insect Repellent: BioUD® deters mosquitoes that may carry WEST NILE VIRUS for 4.5 hours and repels ticks that may spread LYME DISEASE and ROCKY MOUNTAIN SPOTTED FEVER for up to 2 hours. For nonstop protection against target pests apply every 4.5 hours or after swimming, toweling or strenuous activity. • BioUD® Insect Repellent & Clothing Treatment: Mini Trigger Spray. 6 oz. ORDER NOW! • BioUD® Insect Repellent & Clothing & Gear: Spray. 6 oz. ORDER NOW! Active Ingredients: 2-Undecanone (CAS# 112-12-9) 7.75%, Other Ingredients: 92.25%, Total 100.00%. • Xtreme Sportsman Pump Spray: PPowerful Xtreme Sportsman Insect Repellent is a highly efficient waterproof blend resilient enough for harsh environments and safe for the entire family. This botanical formula delivers defense from bites for up to 8 hours against mosquitoes, black flies and more than 2 hours for ticks. For added protection apply to clothing. 6 oz. ORDER NOW! • Family Safe Spray: Effective DEET-Free formula helps protect you and your family from bites from mosquitoes and black flies. Helps deter black flies for up to 3 hours and also proved to be more effective than DEET (7%) in repelling mosquitoes. It is safe to use on kids. For maximum results, re-apply every 2 hours. Sweatproof. Non-Flammable. 2 oz. Spray. ORDER TODAY! Active Ingredients: Soybean Oil (2.0%), Geranium Oil (5%). Inert Ingredients (93%): Purified Water, Coconut Oil, Glycerin, Lecithin, Citric Acid, Sodium Bicarbonate & Vanillin. Xtreme Sportsman Pump SprayaaaaFamily Safe Spray 2 oz. HOME CARE: BioUD® Insect Repellent & Clothing & Gear, 6 oz. HOME CARE: Family Safe Spray, 2 oz. • Insect Repelling Wristband: Repels mosquitoes, flies, gnats, no-see-ums, and fleas. Geraniol tested to be more effective than citronella. Effective for up to 120 hours when kept in resealable container. Breakaway feature for added safety. For all outdoor activities including swimming. Wear on wrists, ankles, belt loops, back packs. All natural active ingredients - safe for the entire family. Natural and effective. Water resistant. Deet free. • Insect Repelling Wristband: Olive Green. ORDER NOW! • Insect Repelling Wristband: Glow In The Dark. ORDER NOW! • Insect Repelling Wristband: Pink. ORDER NOW! • Insect Repelling Wristband: Red. ORDER NOW! • Insect Repelling Wristband: Yellow. ORDER NOW! • Insect Repelling Wristband: Blue. ORDER NOW! • Insect Repellent Wristband: Purple. ORDER NOW! • Insect Repellent Wristband Family Assorted: The Geraniol vapors from the plastic BugBand wristband create a light protective buffer around the immediate area to repel mosquitoes, gnats, fleas and no-see-ums. This Family Pack delivers up to 480 hours of protection against insects when kept in resealable container. Can be worn on Belt Loops, Hatbands, Pet Collars, fastened in Tents, attached to Baby Carriages Strollers, Purses, and Suitcases. Several wristbands can be strung together to create a longer band. Breakaway feature for added safety. For all outdoor activities including swimming. Waterproof. Non-toxic when used as directed. 4 Pack. ORDER NOW! Active Ingredients: 20% Geraniol. Inert Ingredients: 80% Polyethylene Pellets. Total Weight: 0.20 oz. (5g)..
• Towelettes w/ Insect Repelling Lotion: DEET-FREE Insect Repellent Towelette is ideal for short trips and vacations. Convenient, easy-to-use allows for exact application of Geraniol Insect Repellent Lotion on exposed skin. Contains 8-by-8-inch pretreated insect repellent towelettes. Perfect for using around your face or neck without over-applying. Tavel size easily fits in a bag, glove box or purse. Share with the whole family. 15 count tub. ORDER TODAY! Active Ingredients(22%: Geraniol(20%), Mint(1%), Rosemary(1%). Inert Ingredients(78%: Water, Mineral Oil, Hydrogenated Vegetable Oil, Lecithin. Insect Repellent Spray Lotion: Insect Repellent Spray Lotion offers heavy-duty protection by a highly effective metered pump sprayer to dispense a fine mist directly on clothing or skin. The Geraniol vapors form a protective barrier to prevent blood-sucking insects from biting. Perfect for use around the ankles, wrist or neck, where insects tend to infest clothing. Use once for hours of insect protection. Pump spray contains no ozone harming propellents. • Insect Repellent Spray Lotion, 6 oz. : Large size bottle ideal for sharing with families or large groups. 6 oz. Spray. ORDER TODAY! • Insect Repellent Spray Lotion, 3 oz. : New tamper-resistant design. Small travel size is airline approved, fits into backpacks, purses, glove boxes, and travel kits. 3 oz. ORDER TODAY! Active Ingredients: (30.4%): Geraniol (20%), Soybean Oil (5%), Sodium Lauryl Sulfate (3.6%), Mint (.9%), Rosemary (.8%), Geranium Oil (.1%). Inert Ingredients (69%): Water, Vegetable Oil..
Insect Repellent Wristband Family Assorted 4 ct.
Insect Repellent Spray Lotion, 6 oz. Insect Repellent Spray Lotion, 3 oz. HOME CARE: Insect Repellent Spray Lotion, 6 oz. HOME CARE: Insect Repellent Spray Lotion, 3 oz. • Insect Repellent Portable Diffuser: Portable table top diffuser insect repellent with quiet motorized fan. Works indoor and outdoors to repel mosquitoes, flies, gnats and no-see-ums. The diffuser has been designed to work in homes, offices, indoors, outdoors, picnics, tents, porches, patios, campsites, and RVs. Pleasant scent Geraniol vapors help protect up to 300 square. 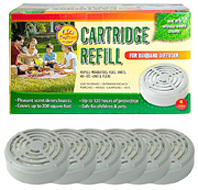 Economical refill cartridges that lasts up to 120 hours each. Refill cartridges sold separately. Releases a pleasant scent. Battery operated 3 AA batteries not included. Safe to operate around food, children and pets. DEET-free. Comes with one starter cartridge. Measures 10-inch height. ORDER NOW! Active Ingredients: Geraniol 20%. Inert Ingredient: Polyethylene 80%. Total 100%. • Insect Repellent Portable Diffuser Refills: BugBand Refill Cartridges is for the the BugBand Portable Diffuser that comes in a box of 6 individually wrapped cartridges that last 120 hours hours each. Can be used in the Portable Diffuser as a single cartridge or doubled for superior protection. 6 Pack. ORDER TODAY! • Insect Repellent Bead Bags: BugBand Insect Repellent Bead Bags contain a high strength of Geraniol which discharges slowly to form a protective vapor barrier in a given area. Helps repel mosquitoes, flies, gnats and no-see-ums! The plastic fragrance beads are packed in an air-flow bag made of nylon mesh to allow air to pass freely. 12 ct. Bottle. ORDER NOW! -- Perfect for use in fan cabinets near food serving areas. -- For window or wall air conditioners, attach to the center of clean air filter. -- In autos, trucks, airplanes and buses, place bags under seats, in air circulating systems and in ashtrays. -- At campsites, place the bags in tents and campers. -- Place the bags on screened porches, patios and other outdoor enclosures. -- Use around pet bedding areas and kennels and anywhere insect repelling is desired. HOME CARE: Insect Repellent Portable Diffuser Refills, 6 ct.
HOME CARE: Insect Repellent Bead Bags, 12 ct. Kids Herbal Armor Natural Insect Repellent: Cedar and citronella oils help repel ticks. Ideal for children and those with sensitive skin. Demonstrated 100% effective for 2 hours and 95.8% effective for 3 hours. DEET-free and GMO-free. Non-irritating and Allergy tested. Sweat and water resistant. Will not damage clothing or equipment. Awarded "Best Gear" by National Geographic Adventure. • Kids Herbal Armor Natural Insect Repellent: Family Size. 8 oz. Spray. ORDER NOW! • Kids Herbal Armor Natural Insect Repellent: 4 oz. Spray. ORDER NOW! • Herbal Armor Continuous Spray: Deet-Free formula contains Cedar and citronella oils to repel ticks, Deerflies and mosquitoes. Proven 100% effective for two hours, and 95.8% for three hours. Naturally effective with environmentally friendly BOV spray delivery system is non-flammable and does not negatively affect the ozone layer. Sprays more easily, consistently and in any direction at any angle. Convenient 3 oz. travel size. ORDER NOW! Herbal Armor Natural Insect Repellent: Cedar and citronella oils help repel ticks. Ideal for children and those with sensitive skin. Demonstrated 100% effective for 2 hours and 95.8% effective for 3 hours. DEET-free and GMO-free. Non-irritating and Allergy tested. Sweat and water resistant. Will not damage clothing or equipment. Awarded "Best Gear" by National Geographic Adventure. • Herbal Armor Natural Insect Repellent: Family Size. 8 oz. Spray. ORDER NOW! • Herbal Armor Natural Insect Repellent: 4 oz. Spray. ORDER NOW! • Bite & Sting Soother Spray: Bite & Sting Soother Spray calms irritated skin caused by insect bites, stings, and other irritations. Ideal for sensitive skin. Convenient pump spray. 2 oz. ORDER NOW! Active Ingredient: Colloidal Oatmeal USP 0.1%. Other Ingredients: Allantoin, Aloe Barbadensis (Aloe Vera) Gel, Bisabolol, Butyrospermum Parkii (Shea) Butter, Caprylic/Capric Triglycerides, Cetearyl Alcohol, Cetearyl Glucoside, Corn Starch, Dehydroxanthan Gum, Dimethicone, Eucalyptus Oil, Glycerin, Glyceryl Stearate, Neem Oil, Kaolin Clay, Optiphen, Purified Water, Tea Tree Leaf Oil, Zinc Oxide. Kids Herbal Armor Natural Insect Repellent 8 oz. Kids Herbal Armor Spray 4 oz. Herbal Armor Continuous Spray 3 oz. Herbal Armor Spray 4 oz. Herbal Armor Spray 4 oz.aaaaaaaaBite & Sting Soother Spray 2 oz. HOME CARE: Herbal Armor Natural Insect Repellent, Family Size 8 oz. HOME CARE: Herbal Armor Natural Insect Repellent, 4 oz. HOME CARE: Herbal Armor Continuous Spray, Original 3 oz. HOME CARE: Bite & Sting Soother Spray, 2 oz. • Best Yet Biting Insect Repellent: Biting Insect Repellant by Best Yet is the finest in personal relief from Mosquitoes, Fleas, Flies, Ticks, Green Heads, Chiggers, No-See-Ums and Gnats. A light misting application of this Cedar Oil Solution will offer all day protection. It will not sweat off like DEET products or other natural insect repellents. Best Yet can be used on children of all ages and animals of any kind. It can be applied directly to the skin or over clothing. It is clear and non-staining and will leave the skin with a clean smooth and revitalizing feel not found with aerosol repellents. Best Yet can be used around the house to regulate those testing insect invasions by Scorpions, Roaches and ants. Brings about instant death to fleas, chiggers, lice or other targeted insects. Also used for the eradication of Head Lice. A quick shot on the target insect or its nest will result in immediate death to the insect. This non water base treatment will offer a blockade of entry against insect pests. Safe for Children and Pets. DEET free! 4 oz. Spray. ORDER NOW! • Hot Pepper Wax Natural Insect Repellent: Hot Pepper Wax Natural Insect Repellent is a garden/greenhouse spray repellent and insecticide. It is proven effective against Aphids, Spider Mites, Whiteflies, Cabbage Loopers And Beet Armyworms for up to 2 weeks. 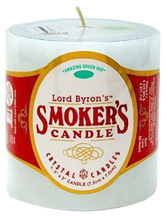 Made with Capsaicin, a highly refined Paraffin Wax, and other "food-grade" ingredients. Helps coat plants with a harmless, micro-thin barrier to repel pests. Some insects are done in by capsaicin, others by the wax. Hot Pepper Wax also works as an "anti-transpirant," reducing water loss and resulting stress, a true benefit for new transplants! Hot Pepper Wax Natural Insect Repellent is safe for garden produce, and warm water rinses it completely away! 22 oz. Spray. ORDER NOW! HOME CARE: Hot Pepper Wax Natural Insect Repellent, 22 oz. • Aqualin Moisturizer: Aqualin Original Moisturizer is an innovative moisturizer that remedies dry and irritated skin without using oils that clog pores or dangerous chemicals that can harm the skin. This gel constantly soaks the skin in moisture because it does not evaporate like most creams and lotions. Aqualin Original Moisturizer helps hydrate irritated, sun-dried or damaged skin, and calms burns (kitchen, wind and sun) and insect bites. • Aqualin Moisturizer Original: 4 oz. ORDER NOW! • Aqualin Moisturizer Maximum: 4 oz. ORDER NOW! Ingredient: Electrolyte-free water and Glycerin. HOME CARE: Aqualin Moisturizer, 4 oz. • Bug Away Repellent Spray: Bug Away Repellent Spray repels bugs away, using only organic, natural ingredients such as organic Lemongrass and Citronella, well known for their safe and effective bug repellent properties. Non-toxic, DEET free, non-chemical, hypoallergenic formula repels fleas, mosquitoes, ticks and biting flies. The secret of natural bug protection is repeated application and the fragrance. A brilliant alternative to toxic bug repellent chemicals as DEET. Safe for babies (over 6 months of age) kids and adults too! Note: Use on baby's under 6 months of age only with the advice of a physician. For external use only. Avoid contact with eyes. 4 oz. ORDER NOW! Active Ingredients: Cymbopogon Nardus (Organic Citronella) Essential Oil 2.4%, Cymbopogon Flexuosus (Organic Lemongrass) Essential Oil 3.6%. Inactive Ingredients: Organic Soybean Emulsifier (Lecithin), Water (Aqua). HOME CARE: Bug Away Repellent Spray, 4 oz. Herbal Skin Conditioning Spray: Herbal Skin Conditioning Spray is used before and after exposure to elements such as wind and sun and to decrease itchiness from insect bites. Helps calm the effects of irritated skin causing from heat, allergies, or insect bites. 4 oz. / 8 oz. ORDER NOW! • Herbal Skin Conditioning Spray: 4 oz. ORDER NOW! • Herbal Skin Conditioning Spray: 8 oz. ORDER NOW! Ingredients: Purified Water, Aloe Barbadensis (Aloe) Leaf Juice, Glycerine, Polysorbate-80, Helianthus Annuus (Sunflower) Seed Oil, Azodica Indica (Neem) Oil, Hydrastis Canadensis (Golden Seal) Extract, Berberis Vulgaris (Barberry) Extract, Anthemis Nobilis (Chamomile) Extract, Thymus Vulgaris (Thyme) Oil, Juniperus Mexicana (Cedarwood) Oil, Phenoxyethanol, Ethyl Hexyl Glycerin, Citrus Aurantium (Sweet Orange) Oil, Cymphobogon Flexuosus (Lemongrass) Oil, Lavandula Hybrida (Lavandin) Oil, Cymbopogon Nardus (Citronella) Oil. HOME CARE: Herbal Skin Conditioning Spray, 4 oz. HOME CARE: Herbal Skin Conditioning Spray, 8 oz. • Quit Bugging Me Insect Repellant Spray: This non-greasy, light oil blend repels mosquitoes, gnats, horseflies, black and biting flies. Works fast to protect you and the whole family. DEET free. Safe for kids. Made in the USA. 4 oz. ORDER NOW! Active Ingredients: Glycine Soja (Soybean) Oil (2%), Geranium Oil (2%).Inactive ingredients: Aqua (Water), Cocos Nucifera (Coconut) Oil, Glycerin, Lecithin, Citric Acid, Sodium Bicarbonate, Benzoic Acid, Sodium Benzoate. HOME CARE: Quit Bugging Me Insect Repellant Spray, 4 oz. • Lavender Catnip Insect Repellant: This concentrated Witch Hazel blend of aromatic herbs dries fast on the skin to provide you comfortable outdoors. Made with fresh Lavender, effective Catnip, fragrant Basil and earthy sage into a powerful herbal bouquet, pleasant to humans but not to bugs. 4 oz. ORDER NOW! Ingredients: Witch hazel, infusion of organic catnip and lavender, borax, essential oils of lavender, basil and sage. HOME CARE: Lavender Catnip Insect Repellant, 4 oz. • SssstingStop® Insect Gel: SssstingStop® Insect Gel offers temporary relief for the itch, pain and redness of the non-poisonous insect bites and stings of mosquitoes, bees, wasps and other insects. It calms the pain of fever blisters and cold sores. It is easily absorbed into the skin, with no burning or chilling, thus giving quick, effective relief. SssstingStop® Insect Gel contains no steroids, no hydrocortisone, no antihistamines, no "caine" pain killers, no DEET or synthetic medicines. Doctors recommend it as safe for the whole family. • SssstingStop® Insect Gel: 1 oz. ORDER NOW! • SssstingStop® Insect Gel: 2.75 oz. ORDER NOW! Ingredient: Active Ingredients (HPUS): Echinacea Angustifolia 1X 10%, Ledum Palustre 1X 10%, Urtica Dioica 1X 10%. Inactive ingredients include Citronella oil & Eucalyptus oil in a water gel base. HOME CARE: SssstingStop Insect Gel, 1 oz. HOME CARE: SssstingStop Insect Gel, 2.75 oz.